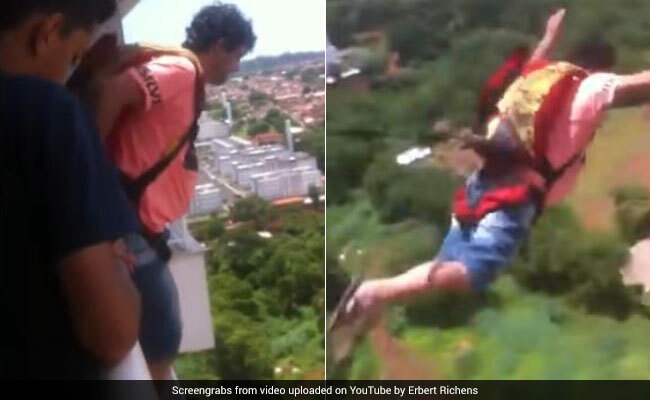 In a shocking display of bravado, a man in Brazil jumped off a high rise balcony wearing a parachute he reportedly bought online. The video shows the unnamed man, wearing t-shirt and shorts, standing on the ledge of his balcony with the parachute strapped in. As he prepares to jump off, a woman can be heard crying in the background, presumably begging him to not go ahead with the stunt. With a countdown from three, the man leaps from the ledge, maneuvering the parachute as he hurtled down. To everyone's relief, he appears to make a safe landing in the bushes. The anguished woman can be seen crying at the end. Nobody knows what prompted the man to make the dangerous jump and if he was trained to handle it all by myself. The video of the stunt was shared on the Reddit home page and had over half a million views on YouTube. 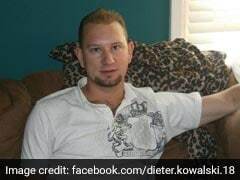 The location and the identity of the man have not been revealed in the video. On Reddit, the video received mixed reactions. "I can't even imagine watching someone I've tied my life to do something so stupid. Like Russian roulette. Yeah, he turned out fine, but everyone watching this thought it was around 50/50 chances he would make it," wrote a Redditor. "This man is equal parts idiot and my hero," wrote another. A Redditor pointed out that the man looks experienced as he performed a "hop and pop" jump, a technique common in skydiving.